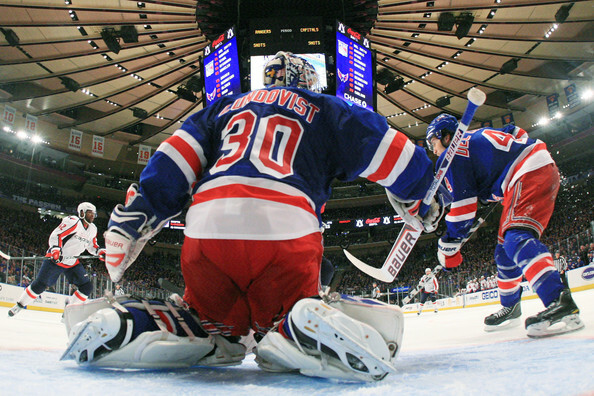 Scott is back, this time with a post-mortem on his Rangers’ season. We can use a morgue analogy here – we’re Caps fans. It seemed too good to be true. So many similarities to 1994. The NY Rangers finished first in the Atlantic Division. They were playing the NJ Devils in the Eastern Conference Finals. Everyone thought this was our year. Unfortunately, it did not turn out that way. I thought we had an amazing run. 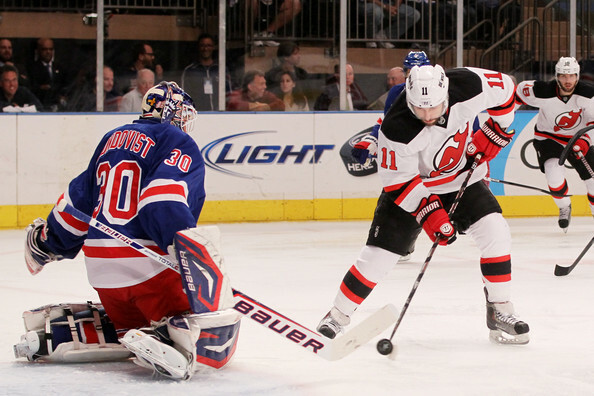 The Rangers established early on in the season that they were a team to take seriously this time around. Half way through the season they were the #1 team in the entire league. They won the 2012 Winter Classic against the Philadelphia Flyers (and swept the Flyers during the regular season). And they were able to make it to the Eastern Conference final. If you ask me, that is a pretty darn good season. Something to be proud of and something to build upon. Two things got the media’s and critics’ attention during the playoffs with regard to the Rangers. One was shot blocking. Everyone seemed to be “up in arms” over the way the Rangers were blocking so many shots. They were saying it was “boring hockey,” “a snooze-fest,” etc. Now this all mostly came up in the early games of the Conference Final against the Devils. It was not mentioned during the regular season, even though this was how the Rangers were playing the ENTIRE time. This did not come up during the first round of the playoffs vs. the Ottawa Senators. It did come up in the second round vs. the Washington Capitals, but not as a complaint. Everyone was excited over how well the Caps were out-blocking shots against the Rangers. That’s right; the critics were all gaga over how well the Capitals were beating the Rangers at their own game. No one was saying how boring it was with two teams blocking so many shots. It was actually quite exciting, at least I thought, since the scoring was so slow and so infrequent. I was constantly on the edge of my seat waiting to see who would score. Suddenly, the Rangers make it to the Conference Final and there was a whole big thing brought up that the Rangers were making the game boring by blocking shots. I thought it was exciting hockey. I thought the Rangers were doing what any other team in their position would be doing, trying to win the Stanley Cup (by whatever means possible). It was not a big deal before. I do not think it should have been now either. 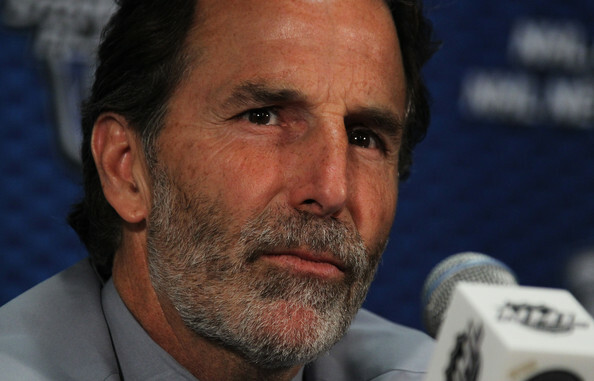 The second issue that was widely discussed was the Rangers’ coach, John Tortorella, and his “behavior” with the media. 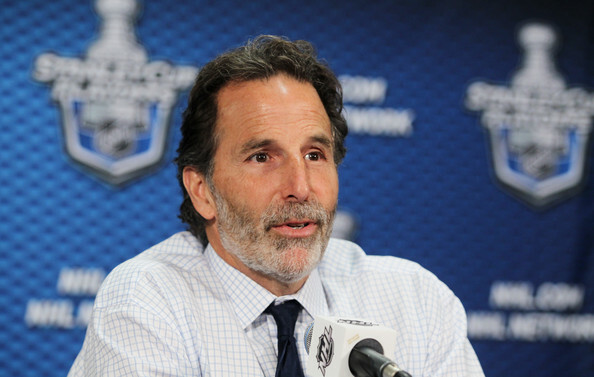 During the playoffs, Torts began seem to become very curt with media in his post-game interviews. His answers were short, not very detailed, and at times abrasive. This was especially noticeable when the Rangers lost. The media seemed very perturbed by this. There were numerous complaints and comments thrown out at Tortorella over this. This he was not doing his job appropriately, that his actions were wrong, and the like. It was also comical. I know lots of fans who enjoyed what Torts was doing. They thought it was funny and intriguing to watch him play with the media this way. In my opinion, Tortorella did this for two reasons, which I think were successful. One, it took attention away from the players. Everyone was up in arms over what he was doing and not blaming the players for mistakes they might have made. Coach Herb Brooks did something similar during the 1980 Olympic hockey games, when he refused the media access to his players. The attention was on him and not the players (though his motive was more about the team remaining a unit and not letting one individual shine above the others). The second reason I think he did this was, as only some media critics pointed out, Tortorella had previously gotten in trouble with the media. Twice he was fined during the regular season for remarks that he made to the media. Those remarks cost him over $30,000. Now if it were me, after getting in trouble twice, maybe I would watch more carefully what I said to the media. Maybe I would not say very much, be so specific, or have some resentment. “Fool me once, shame on you; fool me twice …..” Fool me three times, I don’t think so! The less that you say, the less than can get you in trouble. If I am correct, I do not blame Torts for acting with the media the way he did. Anyhow, this was a great season. While it did not end in June, it was still successful and well played. There is always next year. 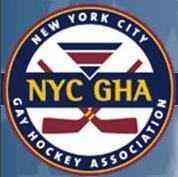 On a personal note, I am happy to say that I am back on a New York City Gay Hockey (NYCGHA) team. I am now a proud member of the Wizards and hope to contribute to a very successful season (and many more in the future). This entry was posted in New York Rangers and tagged John Tortorella, New York Rangers, Stanley Cup Playoffs. Bookmark the permalink.